Social Foundations Doctoral Award for Scholarly Accomplishment, 2016. Nicholas J. Eastman, "Gaining Ground: Charter Schools and Urban Neoliberalization," in Thresholds in Education (forthcoming). Deron Boyles and Nicholas J. Eastman, “The Corporate University: Max Weber’s Concept of Rationalization as a Critique of Current Higher Education,” in Aaron Stoller and Eli Kramer, eds., Philosophy and Critical University Studies: An Anthology (New York: Palgrave/Macmillan, in press). Nicholas J. Eastman, Morgan Anderson, and Deron Boyles, “Choices or Rights? Charter Schools and the Politics of Choice-Based Education Policy Reform,” Studies in Philosophy and Education, (in press). Nicholas J. Eastman, “Dropout Factories: The Profitability of ‘At-Risk’ Students,” Philosophical Studies in Education 47 (2016): 68-77. Nicholas J. Eastman and Deron Boyles, “In Defense of Academic Freedom and Faculty Governance: John Dewey, the 100th Anniversary of the AAUP, and the Threat of Corporatization,” Education & Culture 31, no. 1 (2015): 17-43. 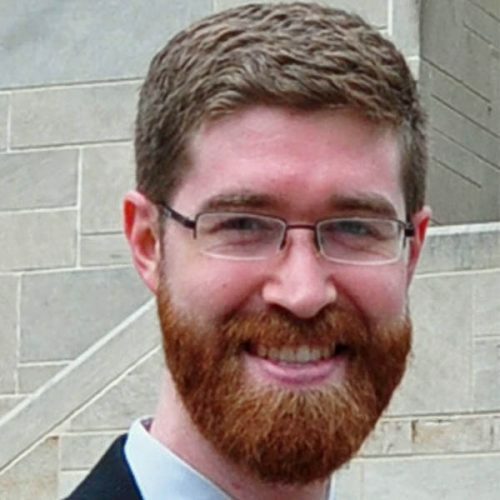 Nicholas Eastman,"Public Education and the Common Good," presented at the Ohio Valley Philosophy of Education Society, Mundelein, IL, October 13, 2017. Jessica Heybach and Nicholas Eastman, "Neoliberal Double-Think: Publicly Broke and Privately Rich," presented to the Southeast Philosophy of Education Society, Chattanooga, TN, February 2, 2018. Nicholas Eastman, “Gaining Ground: Charter Schools and Urban Neoliberalization,” presented to the Ohio Valley Philosophy of Education Society, Dayton, OH, September 17, 2016. Nicholas Eastman, Morgan Anderson, and Deron Boyles, “Reclaiming Education from Neoliberal Colleges of Education,” panel discussion presented to the Ohio Valley Philosophy of Education Society, Dayton, OH, September 17, 2016. Gabriel Keehn, Nicholas Eastman, and Morgan Anderson, “The Revolution Might Not Be Taught: Reflections on the Limitations and Possibilities of Teacher Education Programs as Sites of Educational Activism,” panel discussion presented to the Ohio Valley Philosophy of Education Society, Dayton, OH, September 17, 2016. Nicholas J. Eastman, “The Business of (De)Segregation: KIPP and St. Louis Public Schools,” presented to American Educational Research Association, Washington, D.C., April 11, 2016. Nicholas J. Eastman, “The History of (Neo)liberal Education Reform in St. Louis,” presented to the Southern History of Education Society, Long Beach, MS, March 11, 2016. Nicholas J. Eastman, “The Jobs of the Future: A Critique of STEM Education,” presented to the Southeast Philosophy of Education Society, Ashville, NC, February 6, 2016. Deron Boyles, Jim Garrison, Nicholas J. Eastman, and Aaron Stoller, “Considering Aaron Stoller’s Knowing and Learning as Creative Action: A Reexamination of the Epistemological Foundations of Education,” panel discussion presented to the Southeast Philosophy of Education Society, Ashville, NC, February 5, 2016. Nicholas J. Eastman, “Dropout Factories: The Profitability of ‘At-Risk’ Students, presented to the Ohio Valley Philosophy of Education Society, Dayton, OH, September 12, 2015. Nicholas J. Eastman, “Who Owns the Colleges of Education?” presented to the Society of Professors of Education, Chicago, IL, April 18, 2015. Nicholas J. Eastman and Deron Boyles, “Academic Freedom at 100: John Dewey and the Founding of the American Association of University Professors,” presented to the American Educational Research Association, Chicago, IL, April 17, 2015. Nicholas J. Eastman, “Hard Times for Public Schools: Educational Reforms for the 21st Century,” presented to the Southern History of Education Society, Macon, GA, March 13, 2015. Nicholas J. Eastman, “Taking One for the Team: KIPP and School Discipline,” presented to the Southeast Philosophy of Education Society, Memphis, TN, February 6, 2015. Nicholas J. Eastman, Morgan D. Anderson, Gabriel T. Keehn, “Reflections on the Rise of Online Learning in Colleges of Education,” panel discussion presented to the Southeast Philosophy of Education Society, Memphis, TN, February 6, 2015. Nicholas J. Eastman, “Deweyan Pluralism: The Values and Limits of Democratic Schools,” presented to the American Educational Studies Association, Toronto, Canada, November 2, 2014. Nicholas J. Eastman, “Instructional Supervision in the Age of Value-Added Measurements,” presented to the Council of Professors of Instructional Supervision, Atlanta, GA, October 18, 2014. Nicholas Eastman, “A Philosophical Objection to Behavior Management Software,” presented to the Southeast Philosophy of Education Society, Decatur, GA, February 21, 2014. David Backer, Gert Biesta, Deron Boyles, F. Tony Carusi, Nicholas Eastman, and Deborah Seltzer-Kelly, “A Philosophy of Education Situated in the World,” panel discussion presented to the Philosophy of Education Society, Portland, Oregon, March 14-18, 2013.